Now, one can shop for gifts for Rakhi without worrying about it being spoilt in theprocess. As sweets make a major part of any celebration in India, individuals are hesitant to buy it with the massive time it takes to get delivered. With express delivery, Gifts by Meeta has made sure the issue is resolved and taste remains fresh by attaining as less time in delivery. Besides sweets, online portal offers assorted range of dry fruits, hampers of festive flavors and gourmet sets to deliver the festive mood well in time. One can shop Rakhi gifts online with easy click and add to cart way to move away from the hustle of getting the gift and couriering it separately. 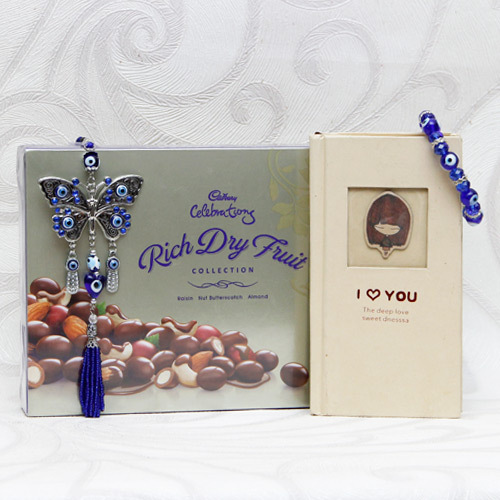 The portal will allow customers to shop for the best Rakhi range online with varieties that are traditional and chic. Browsing for Rakhi gifts is going to be a delightful experience with a much easier use interface and prompt customer service. Customers can filter out the specific gifts based on the geographical, age and gender etc. to celebrate the day with wishes from their loved one”. The new introduction will surely meet all the delivery specification made by the customers and will be a hustle free experience to keep them coming back for more. Individuals miss out on the celebration and flavors typically associated with the festivals while living away. Through this service they can be a part of the family celebration even when they cannot make it home. No celebration has to wait till everyone is home with flavors flying all the way to wish them with festivity and traditional hues. Express delivery is certainly an efficient move by the company to stay ahead of time and get the festival at the doors as per the demand. The online gifts portal allows to shop for gifts according to occasion, celebration and special days while making all the items available according to age, gender,celebration and geographic. While the gifts are thoughtful, it surely gets to the locations in India with PAN India presence.